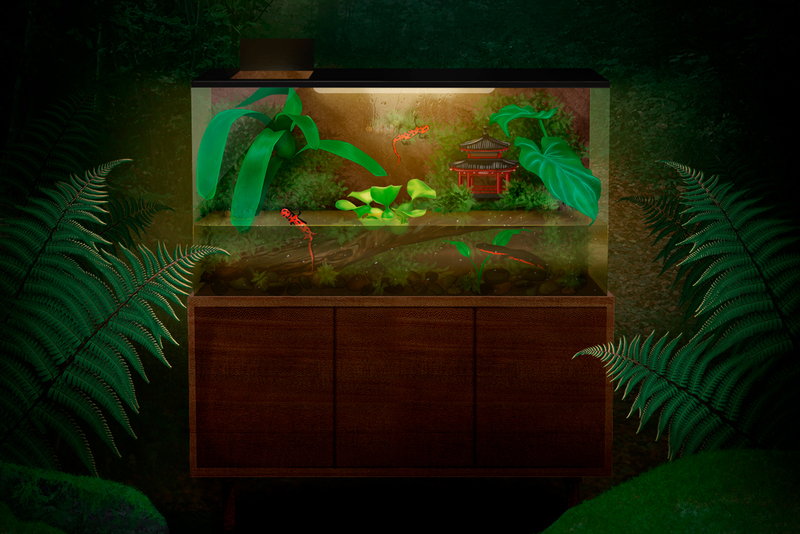 Do you know the consequences of pet trade? Do we care more about our pets than our local wildlife? 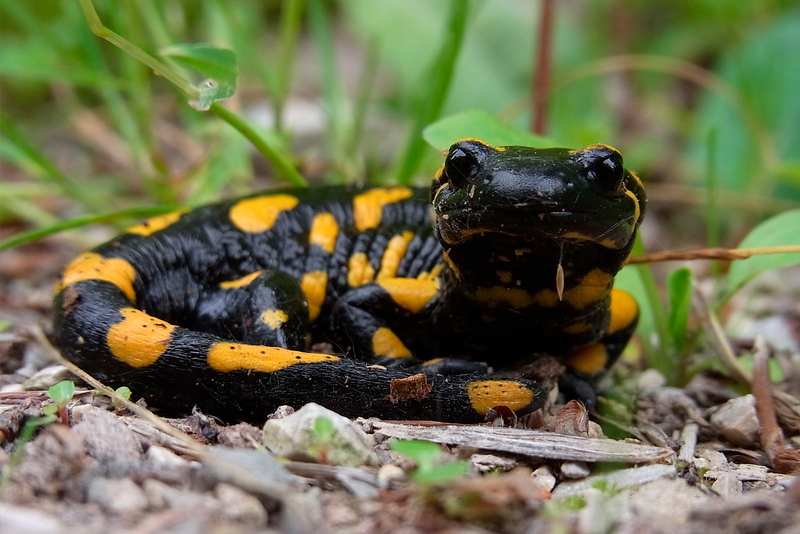 In the last decade, there's been a dramatic decline in amphibian and reptile populations in Europe. Many studies reveal that viral, fungal and fungal-like diseases are responsible for the mortality of a vast number of different species in a short period of time. 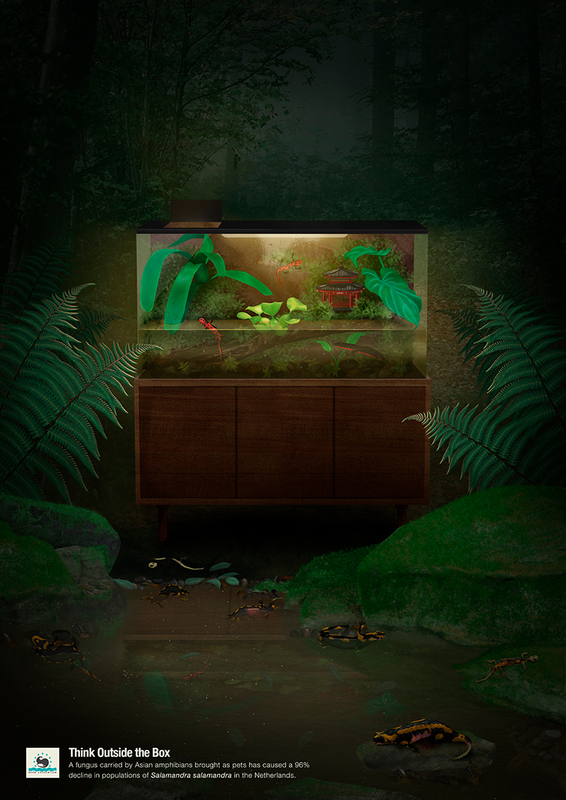 Ranavirus and Chytrid infections are responsible for mass mortalities, local declines or even extirpations of amphibians’ populations. 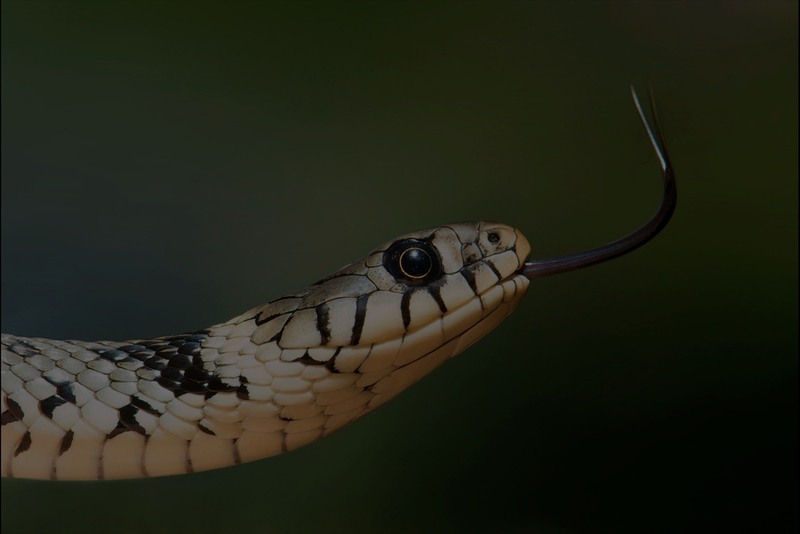 Another emergent fungal disease like the Snake Fungal Disease (SFD) is threatening some species of reptiles in the world and at the European level. Many of these pathogens are native to Asia, Africa and America and have been introduced into Europe through the importing of exotic species mainly for the pet trade. Tourism also play an important role in the spread of these diseases. Many of these pathogens live in wetlands, so by visiting these places, tourists' boots may be contaminated. 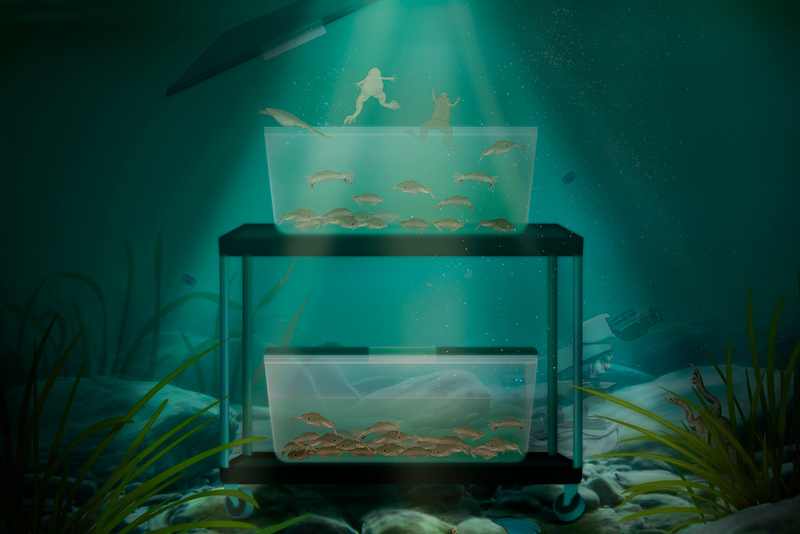 The health of humans is also connected to the health of animals and the environment. 60% of infectious diseases in humans have been estimated to come from animals. 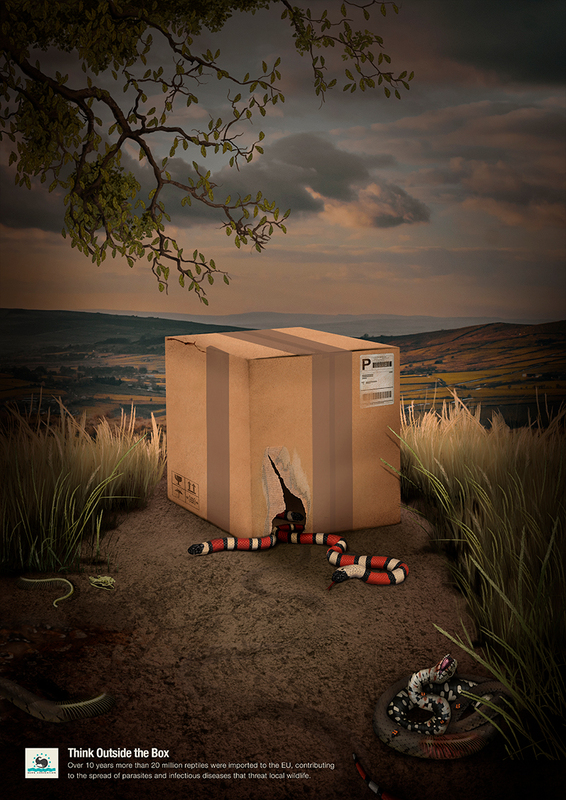 Where do our most threatened wildlife live? 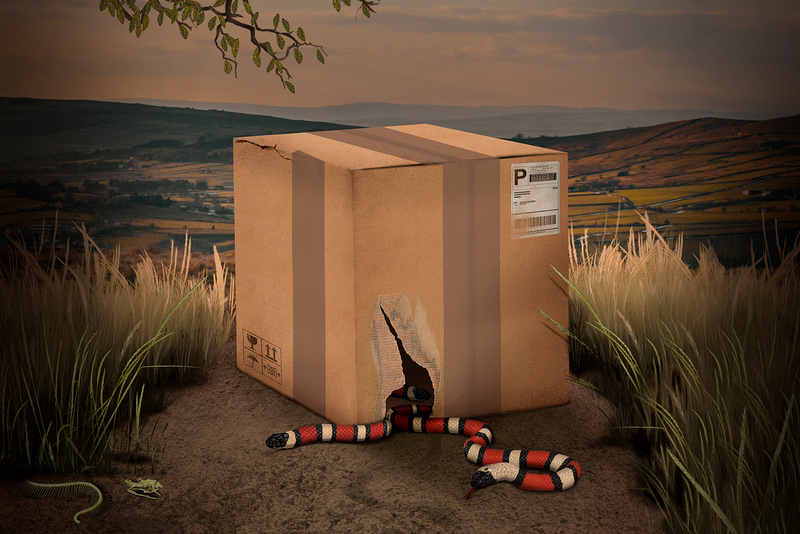 Exotic pets may carry diseases, and these diseases can be spread accidentally (escapes) and voluntary (releases) causing a negative impact in our local wildlife. 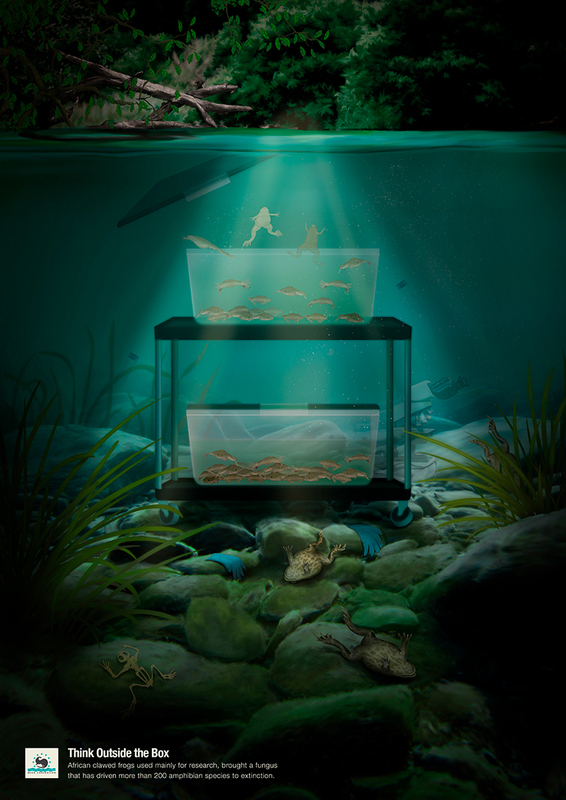 Take a look at these interactive posters to find out what these three different scenarios hide. 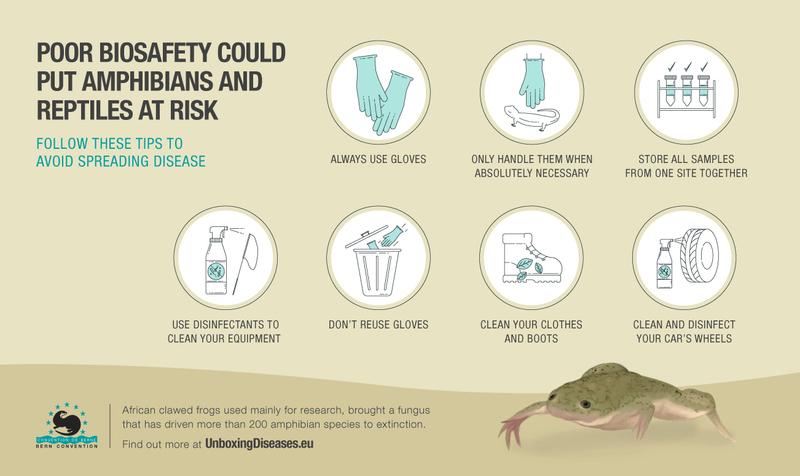 Did you know that contaminated research equipment can contribute to the spread of fungus like Batrachochytrium dendrobatidis? Read these tips to know how we can stop the spread of these diseases. 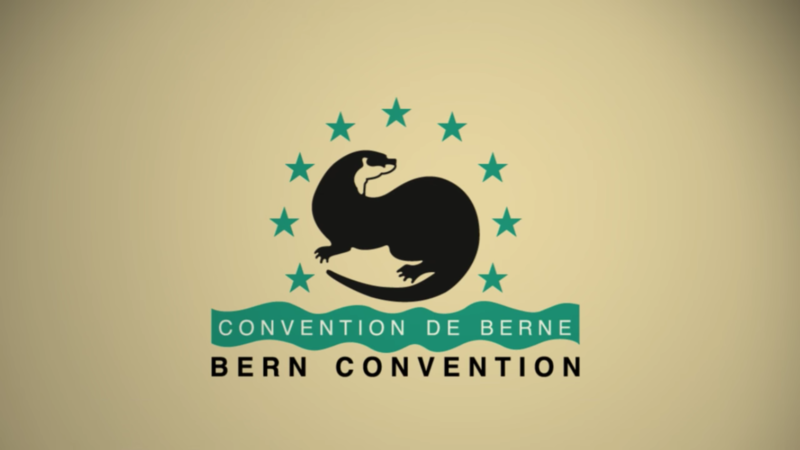 The Bern Convention is the only Treaty for nature conservation in Europe. It was established by the Council of Europe in 1979 and has been signed by the European Union and 50 countries that are committed to protect European wildlife, both species and their habitats. 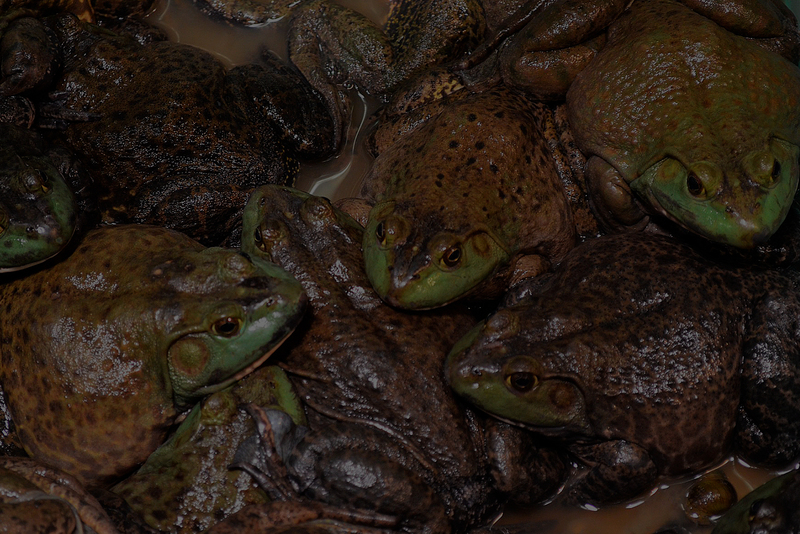 The Convention has been dealing with herpetofauna conservation for the last 20 years, but recently started issuing recommendations regarding biosafety issues for the benefit of these species. We invite you to join the campaign, amplify its message and follow our news on social media!